What?? Mount Hood is considered the Oregon volcano most likely to erupt, but based on its history an explosive eruption is unlikely. The odds of an eruption in the next 30 years are estimated at between 3 and 7 percent, so the US Geological Survey (USGS) characterizes it as “potentially active”, but the mountain is considered dormant. We were lucky to see Mount Hood almost every day from our latest hosting site at Milo McIver – the mountain is a presence at the park and surrounding area and a great site. The mountain was first seen by European explorers in 1792 and is believed to have maintained a consistent summit elevation, varying by no more than a few feet due to mild seismic activity. Elevation changes since the 1950s are predominantly due to improved survey methods and model refinements of the shape of the Earth. Despite the physical consistency, the estimated elevation of Mount Hood has varied substantially over the years. 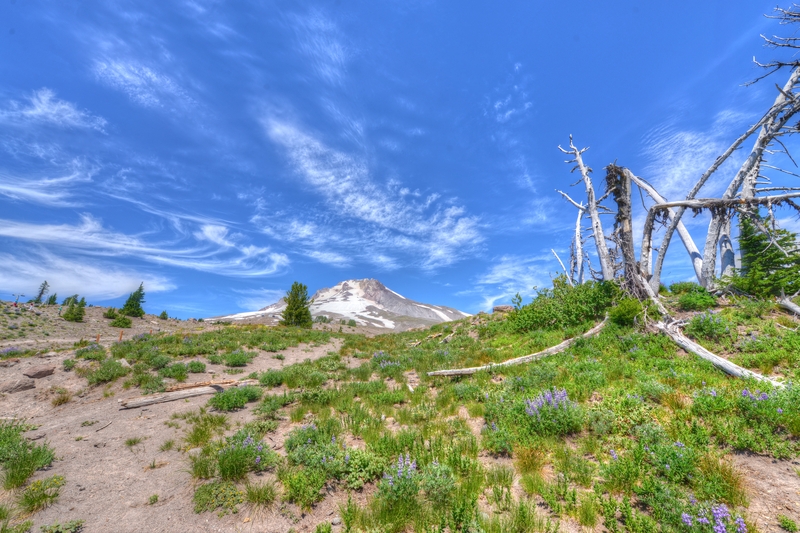 Majestic Mount Hood’s snow-covered peak reported height has varied over its history. Modern sources point to three different heights: 11,249 feet a 1991 measurement by the USGS ; 11,240 feet based on a 1993 scientific expedition and 11,239 feet of measurement of slightly older origin. 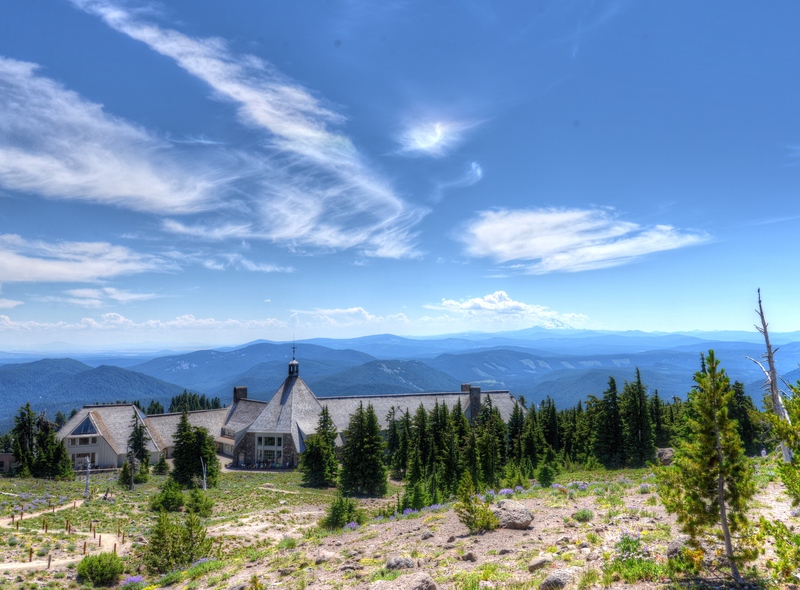 The peak is home to 12 named glaciers and snowfields and is the highest point in Oregon – and the fourth highest mountain in the Cascade Range. The northern western pass is Lolo Pass & was originally an indian trade route that connected people of the river with those in high desert. Lewis & Clark spotted the mountain on October 18, 1805. Year round skiing is available on the Mountain – many summer camps are hosted here – and Olympic contenders train here in the warm months. It has the longest skiing season in the U.S., and is open for skiers and snowboarders every month of the year. 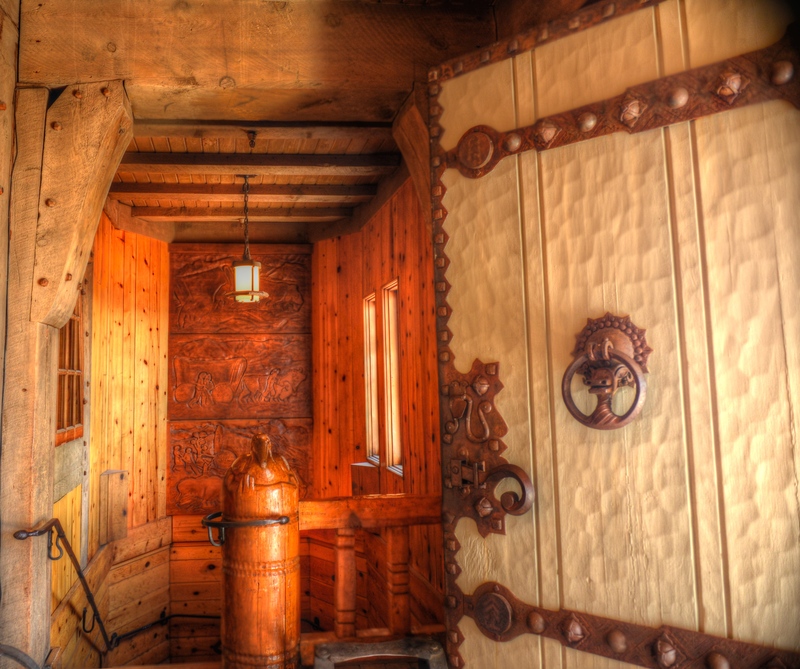 Timberline Lodge was constructed between 1936 and 1938 as a Works Project Administration (WPA) project during the Great Depression. 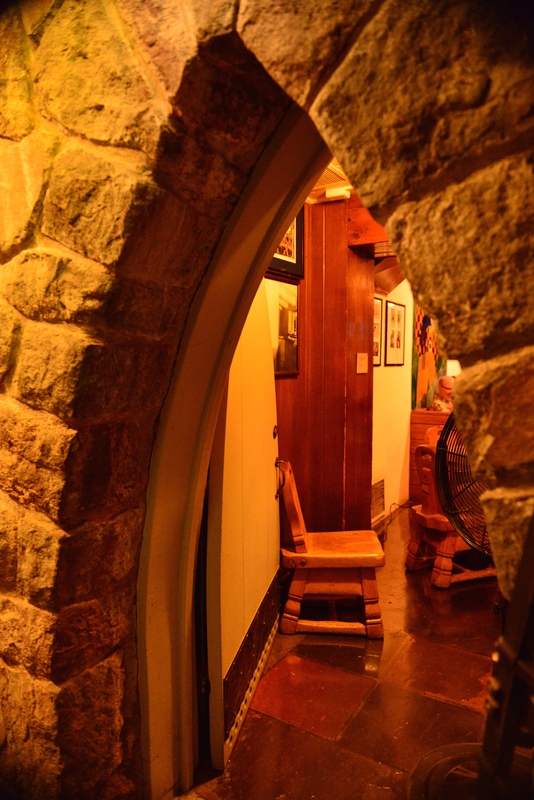 Workers used large timbers and local stone and placed intricately carved decorative elements throughout the building. 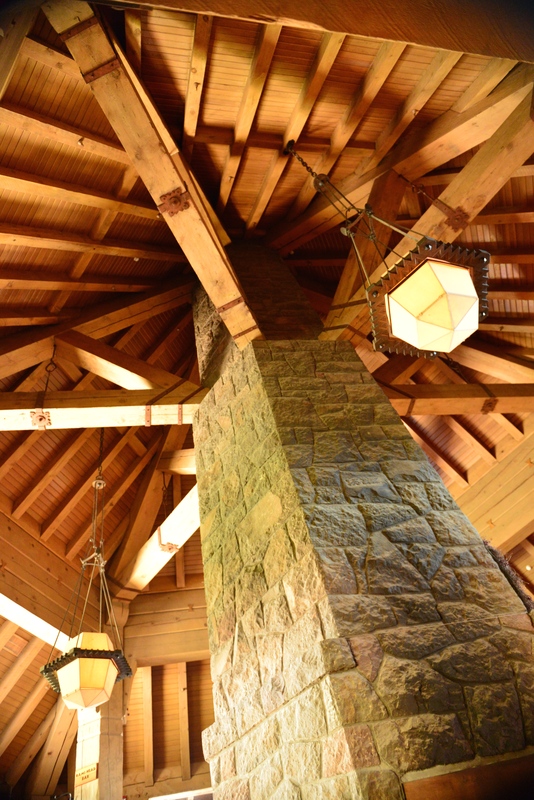 President Franklin D. Roosevelt dedicated the Lodge on September 28, 1937. During the same trip FDR dedicated Bonneville Dam on the Columbia River Gorge. Oregon residents were awed by the appearance of the US President – a rare occurance in the West. A dedicated FDR fan boarded President Franklin Roosevelt’s train car as he wrapped up his whirlwind Portland-area visit on Sept. 28, 1937. She got the boot, but as the locomotive left the station in Vancouver on that historic day 75 years ago this week, she was seen running down the tracks after the train. Star-struck scenes such as these unfolded in communities circling Mount Hood. News stories and other accounts describe residents lining the streets of Portland by the thousands, celebrating a rare Northwest visit by a sitting U.S. president — one, no less, who made a special trip to dedicate two of the region’s distinctive and symbolic new structures, Bonneville Dam and Timberline Lodge. The construction projects put tens of thousands of Northwesterners to work during the depths of the Great Depression. 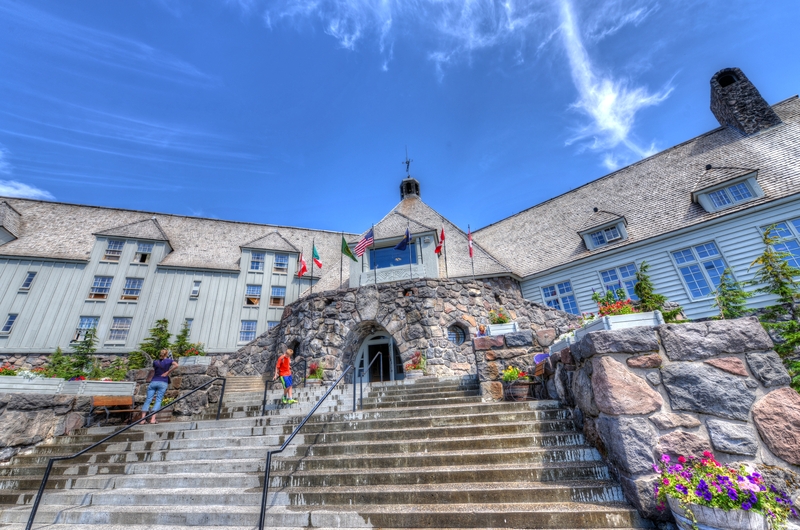 More recently, the 1980 movie the Shining used aerial shots of the Timberline Lodge as part of its opening scene and exterior footage for some establishing shots of the fictional Overlook Hotel throughout the movie. In 1981, Boris Segal was directing the TV movie world War III, starring Rock Hudson. During filming, Sagal was killed in Timberline Lodge’s parking lot when he walked into the tail rotor blades of a helicopter, almost decapitating him. 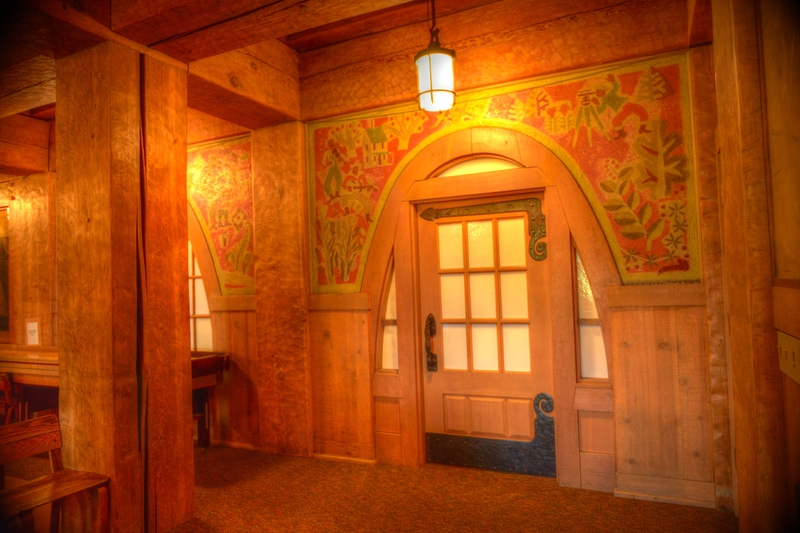 Douglas Lynch Lynch designed, carved and painted the nine large linoleum murals for the original cafeteria at the Timberline Lodge The project was federally funded by the Works Progress Administration, which employed craftsmen and artists in tough economic times during the Franklin D. Roosevelt administration. 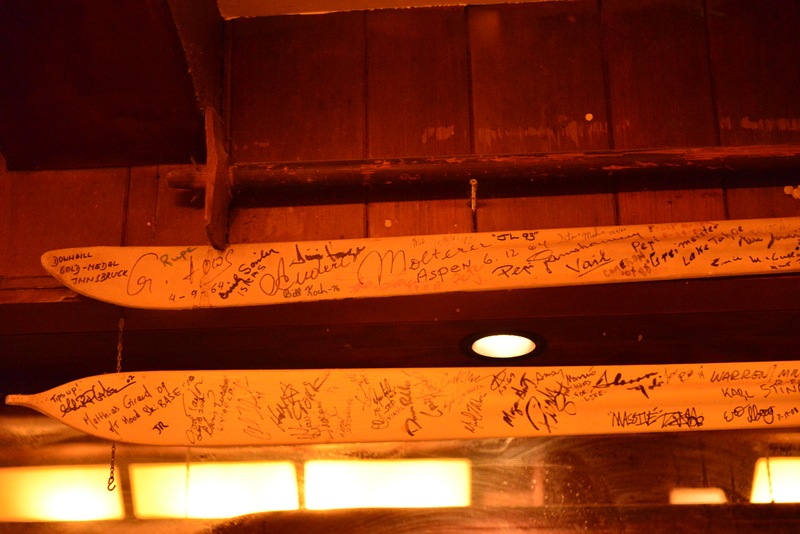 The pieces Lynch completed at age 24 continue are treasured pieces of Oregoniana. He also designed Portland’s city flag. 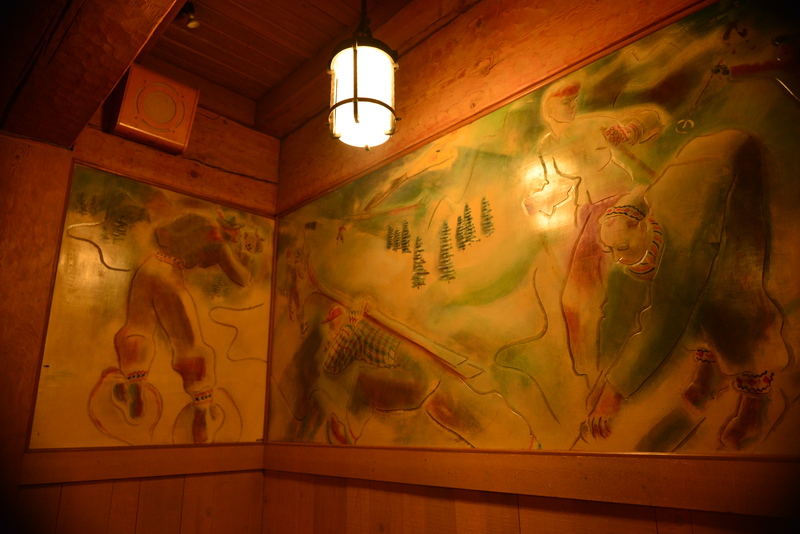 Another gem found at the Timberline is the hidden Blue Ox Bar, one of the best bars we have discovered (we are still in the discovery phase…). Decorated with Paul Bunyan and his beloved blue ox – Originally created in 1938 by Portland artist Virginia Darce, the colorful artwork suffered water damage that left many pieces missing and broken. Removing the mural, matching glass that originally came from various manufacturers from Europe and the East Coast, and reinstalling it in just three months was no easy task. 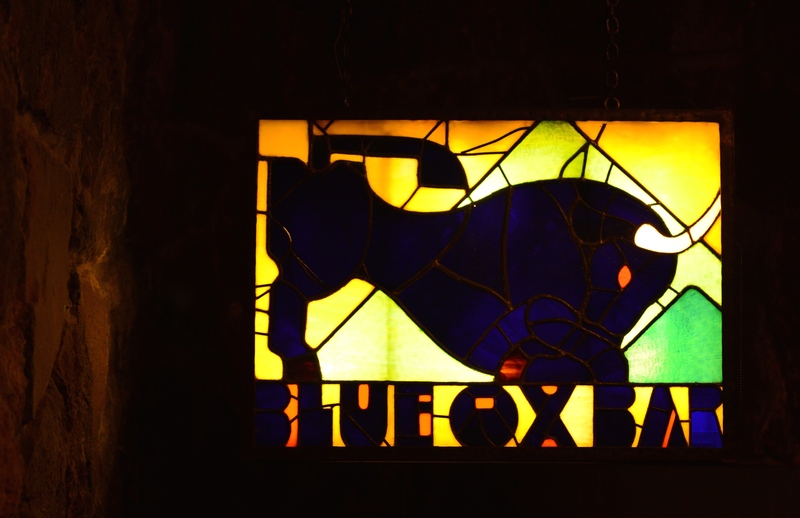 The Newberg Gil Reynolds spent three months painstakingly restoring the glass mural that is the focal point of Timberline Lodge’s Blue Ox bar. Mt. 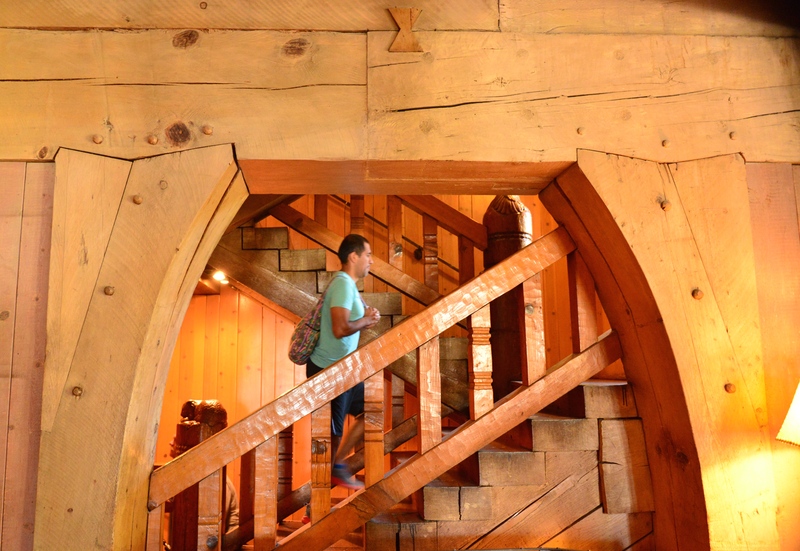 Hood and the Timberline lodge are a great place to escape to – and Mt. Hood dominates the local skyline. Beautifully! I love that mountain…I will one day live in a cabin below it, walk barefoot and fish for my food. If I die being where I love…I would die happy. Most beautiful wilderness on earth surrounds my mountain. Lovely image 🙂 She is a beauty.